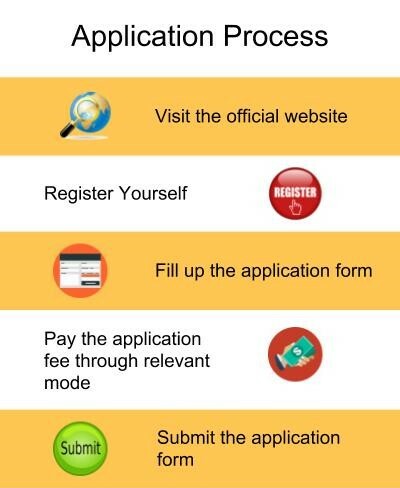 Application can be done in three simple steps as the whole process is available online on the official website of Kristu Jayanti College, Bengaluru. Students must register online with their basic details. After payment of application fees, their User ID and Password will be sent to them. Fees can be paid online or in the college office or through Demand Draft. Login using the User ID and Password provided to fill the application form. The E-mail with the credentials will be sent to the student within 15-20 minutes of registering. Students who did not opt for online fee payment must submit the application form in the college office. They can pay the application fee and receive a cash paid receipt. The hard copy of the application form along with the cash paid receipt or DD must be submitted. Admission will be based on the marks secured in the previous qualifying examination and the entrance examination scores for each course. Candidates must possess a bachelor's degree from a recognized university. A minimum 50% marks must be obtained by the candidate in graduation to be eligible for the Kristu Jayanti College admissions 2019. The program is open for the candidates belonging to Commerce, Management, Arts, Science, Engineering or Technology background. Students must appear for CMAT / CAT / MAT examination and qualify them with valid scores. The applicant must clear 12th standard from a recognized board. The student should score a minimum of 40% marks in 10+2 examination. SC/ST students can apply for the program with 35% marks. A minimum of 40% marks must be obtained in 12th standard from a recognized board. SC/ST candidates are eligible to apply with 35% marks. The applicant must clear 12th standard examination from a recognized board. A minimum of 40% marks must be obtained by the candidate in the 12th standard examination. SC/ST candidates can apply for the program with 35% marks. A minimum 40% marks should be obtained by the students in 10+2 examination from a recognized board. Students should have completed Higher Secondary School examination from a recognized board with minimum 40% marks to apply for the program. Students must have studied Mathematics as one of the mandatory subjects in Higher Secondary School. The applicant must clear 12th standard from a recognized board with minimum 40% marks. The student should have studied Accountancy as one of the subjects in pre-university college. A minimum 40% marks must be scored by the candidate in 12th standard from a recognized board. Applicant must have studied Accountancy in 10+2. The student should have passed 10+2 examination from a recognized university with minimum 40% marks. The candidate must have studied Accountancy as one of the subjects in 12th standard to be eligible for the program. Applicant must have studied Biology / Chemistry as one of the subjects. BA graduates from a recognized university with minimum 50% marks are eligible to apply for the program. SC/ST candidates can apply with 45% marks. The candidate must possess a bachelor's degree from a recognized university. The applicant must have compulsorily studied English as one of the subjects in graduation. The program is open for graduates from any discipline from a recognized university. At least 50% marks should be obtained by the candidate for the eligibility of the program. The candidates must have completed graduation from a recognized university with minimum 50% marks. The student must have studied any one of the following subjects as elective in degree level: Mathematics / Statistics / Computer Science / Computer Programming / Computer Applications / Business Mathematics / Business Statistics. The candidate will be eligible for the admissions if the above-mentioned subjects are cleared in Higher Secondary School examination. Applicant must have scored 50% marks in that particular subject (if cleared in 12th standard). Students applying through university quota must qualify PGCET with valid scores. Management quota candidates must appear for KMAT and obtain valid scores. Students applying for M.Com program must possess a bachelor's degree from a recognized university. Candidate must have scored at least 50% marks in graduation to get eligibility for the program. A bachelor's degree with minimum 50% marks from a recognized university. The program is open for graduates belonging to B.Com / BBM / BBA / BBS with 50% marks from a recognized university. SC/ST, Cat-1 and blind students are eligible to apply with 45% marks. A bachelor's degree from a recognized university is a must to be eligible for the program. A minimum of 50% marks must be obtained by the candidate in graduation. The student must meet the eligibility criteria for the respective programs. SC/ST candidates are eligible to apply for the program with 45% marks. Candidate must possess a bachelor's degree in Psychology with minimum 50% marks from a recognized university. B.Sc (Computer Science) or BCA graduates are eligible to apply for the program with minimum 50% marks. Candidates having BCA degree must have studied Mathematics as one of the subjects in degree level. Candidates possessing BA / B.Sc degree with minimum 50% marks from a recognized university are eligible to apply for the program. The student must have studied at least paper in Psychology in graduation. Applicant must possess a bachelor's degree (3 or 4 years) or an equivalent degree from a recognized university (Indian or foreign). At least 50% marks must be scored by the candidate in graduation to apply for the program. SC/ST candidates are eligible to apply with 45% marks. 10th grade and 12th grade can apply online through KJC web portal and wait for the list publication, if selected go through next level.i.e approach the college for payment of fees within the 48hrs of publication of the list. NOTE.1)APPLY ONLINE ONLY AFTER DECLARATION OF RESULTS 2)THERE WILL BE SEPARATE QUOTA FOR CBSE AND ICSE STUDENTS SO NO NEED TO WORRY. 3)THIS PROCEDURE IS ONLY FOR BCOM AND DOES NOT INCLUDE ANY OTHER COURSES FOR OTHER COURSE PLEASE CONTACT COLLEGE WEBSITE OR COLLEGE OFFICIAL FOR CLARIFICATION. No entrance exams for BCom.For state syllabus it will be around above 70 marks for CBSE and ICSE may be above 75 marks. This cut-off marks was during 2014 admissions.So there may changes in cut-off marks kindly contact KJC official for further information. The aspiring candidates should apply online for the admission.If the results are still not available for plus two marks, you can apply with the plus one marks and once the plus two results are available, the student can update the online application.we can check the status of candidate application and the selection to counseling through email.Admission will be based on the score secured in qualifying exam and their performance in counseling. Selected applicants in the interview will be informed about the reporting date on the day of counselling. Admission formalities of submitting all available original documents and fees for the first year must be completed by the applicant on or before the reporting date. Otherwise, their admission will be canceled. The eligibility criteria of Kristu Jayanti College of Management and Technology is to have passed in 10th and 12th grade with a minimum of 45% in aggregate. Entrance exams are not conducted, but instead, a personal interview is taken. There is no entrance exam for an undergraduate degree. There are specific cutoff marks required to get admission in commerce department. The percentage cutoff is around 80%. You should have completed your 12 class examination to apply for the course. The candidate must have passed the 12th from a recognized institute. No separate entrance exam is conducted. But they must face a personal interview. The typical cutoff is 60% and above. You should atleast have 70 % in your 12 class. There is no need of entrance exam. Normally the cut off is 70 percentage. The typical cutoff for B.Com was actually above 75%. And should have a minimum aggregate in accounting subjects. The student who has scored more than 60% marks in the 12th board is eligible to get admission here. Eligibility criteria for admission was a to obtain more than 92% in 10th, and + 2 years for B.Com. The student should have secured a minimum of 70% in the 12th class.